Whether you're an experienced surfer or will be trying it out for the first time when you visit Woolacombe, you'll find these links pretty handy in terms of having fun in the water safely. It might be tempting to save some cash by trying to surf without a lesson. Trust us when we say this - you'll be wasting an incredible number of waves so just cut to the chase and get somebody that knows what they're doing to teach you. Nick Thorn is something of a local legend, having recently become the first person to complete the 22 mile swim from Lundy Island back to Woolacombe Bay. 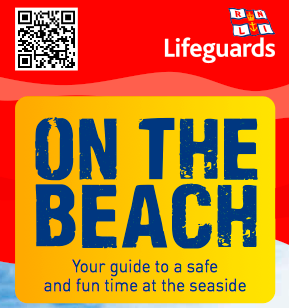 This link will take you to the RNLI's beach safety site online. Have a read because it's a useful page packed with great advice on making the most of your day, especially the leaflets on surf sport safety. While you're in Woolacombe why not pop across to Ilfracombe and check out the RNLI visitor centre next door to the aquarium? 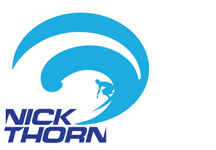 A great local resource for checking the surf conditions. Trev 'Toes' Lumley runs the site and gets out there every day to check what's going on before sharing his wisdom with the crowds. Not only will you know exactly where to go in for the best surf, but you'll know when because he'll advise on beaches and tides for the best all round session on any given day. Once you've become hooked on surfing you'll need a board. Without question, Jools and the gang at Gulfstream make the best hand-shaped boards in the region. The boards are made in their factory on South Street in the main town centre in Woolacombe so if you fancy taking a look at a real surfboard factory then wing by and see what they're up to. You'll probably see some of the finished product but the best place to really check out their boards is in their showroom in Braunton.